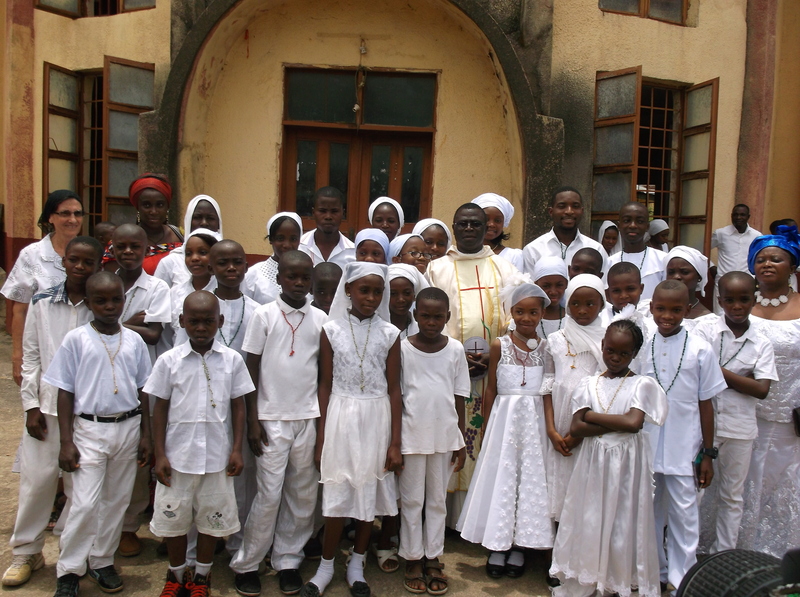 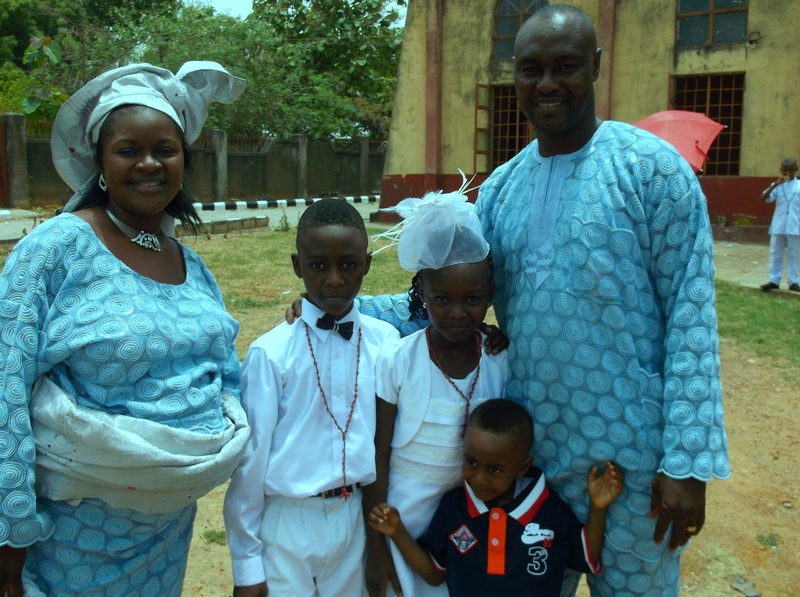 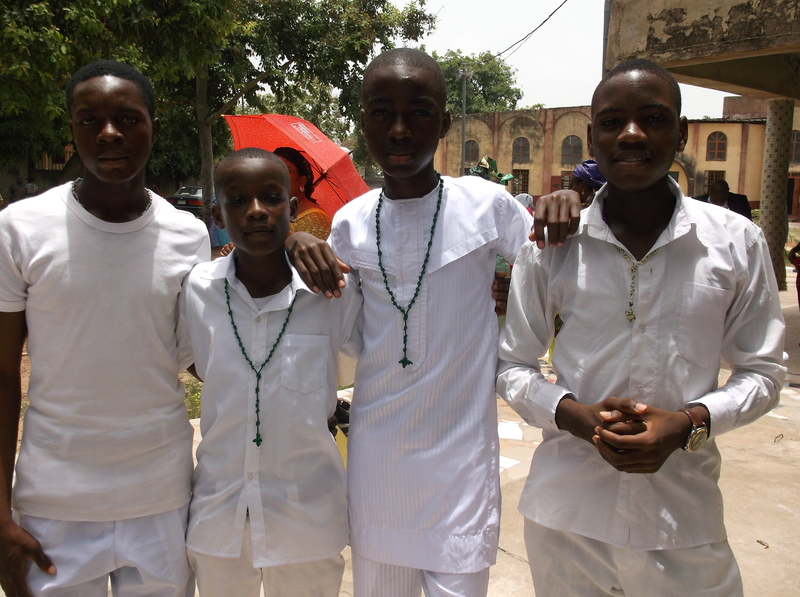 Twenty four children from St. Matthew Church in Passo village outside of Gwagwalada, Nigeria, joined with children from St. Paul parish, Gwagwalada, to make their First Communion at mass celebrated at St. Paul on Easter Sunday, April 5, 2015. 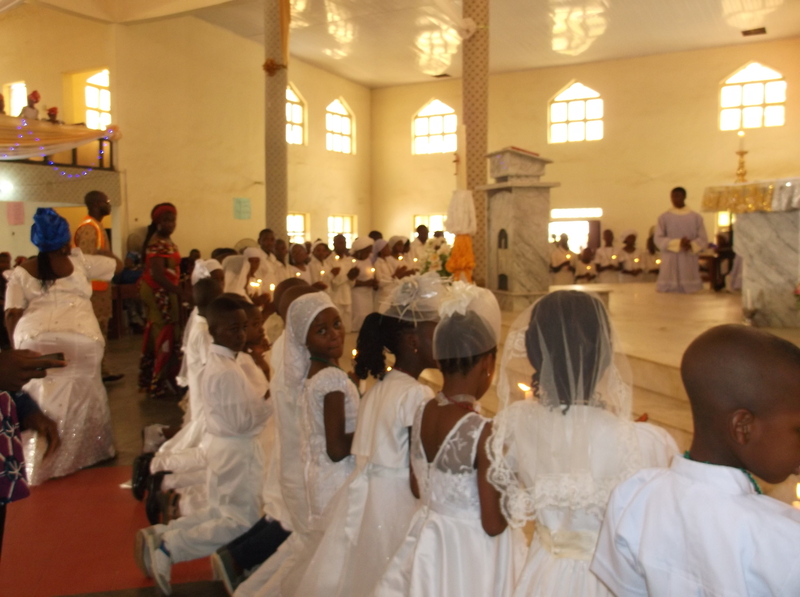 The children in Passo were taught weekly by HVM Sr. Monica Etokudo and candidate Chioma Nwoye in preparation for their first confession on Holy Saturday and First Communion on Easter Sunday. 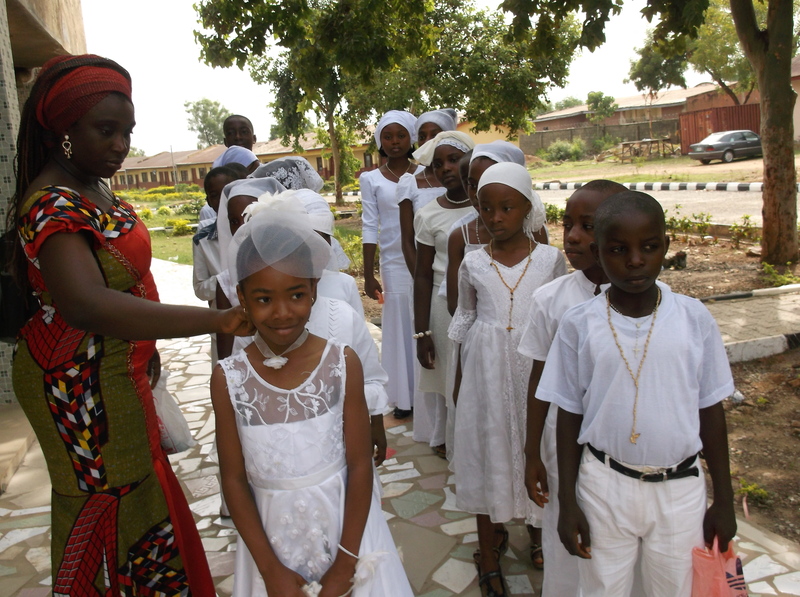 More than 50 children total took their First Communion at St. Paul. 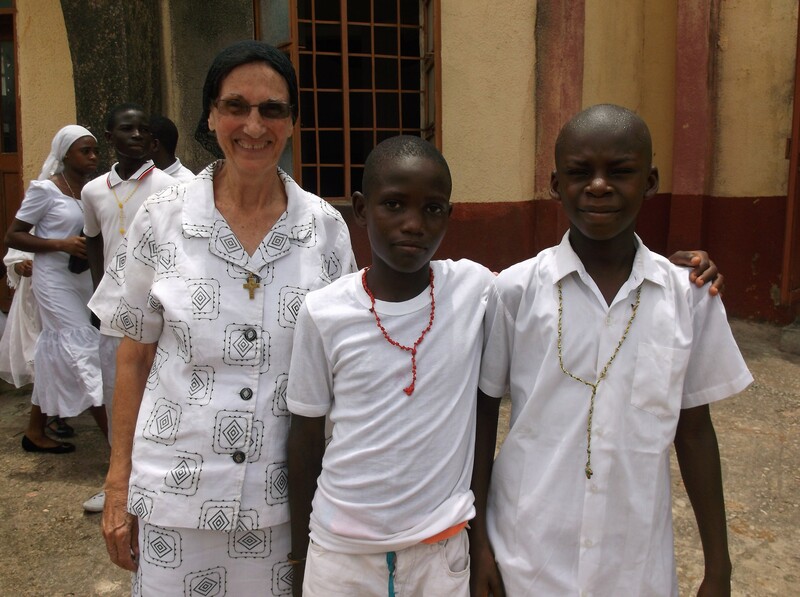 HVM Sr. Barbara Dakoske joined Srs. 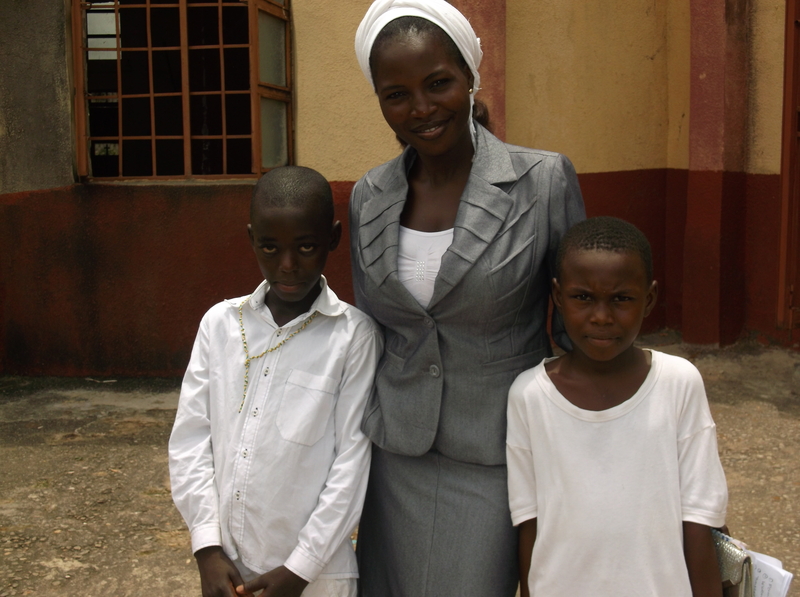 Monica and Chioma in Passo village for the final days of preparation for the sacraments. 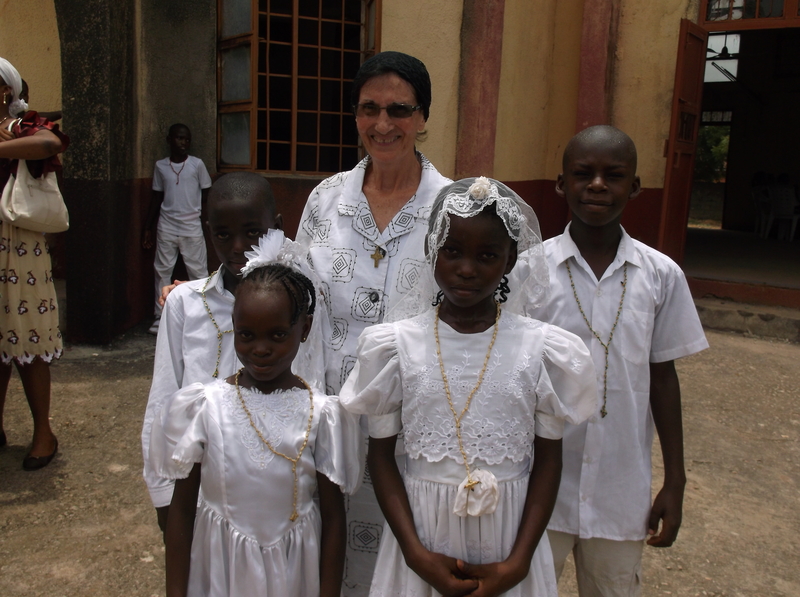 Another 14 children in Passo were also baptized.